Sunday, 16th July, marked the beginning of the ADAMED SmartUp science camp, taking place at the Warsaw University of Life Sciences until 29th July. The 50 most talented students, selected from nearly 7,000 entrants, will enjoy two weeks of intensive practical and theoretical classes in various fields of physical and natural sciences. “Secrets of the human body”, “Engineering and robotics” or the “Chemistry of living organisms” are just a few of the classes awaiting this year’s campers. 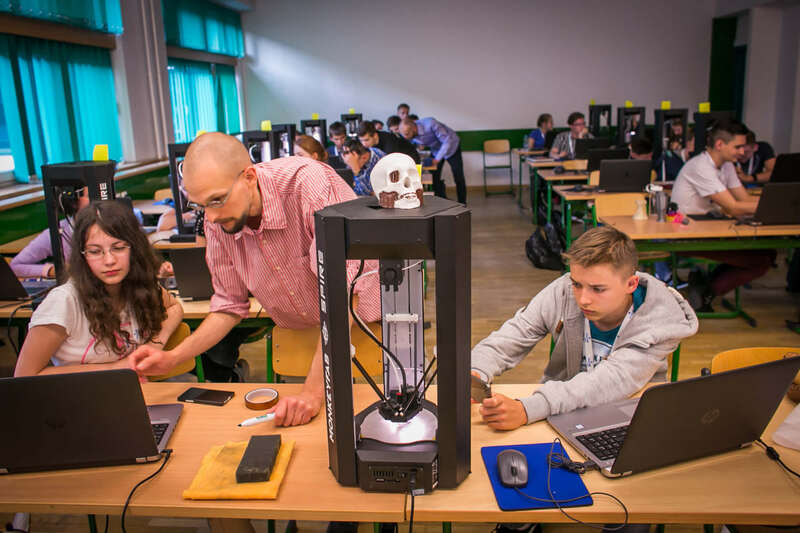 The class schedule abounds in visits to must-see places for every young scientist, such as the National Centre for Nuclear Research or the Adamed Group Research and Development Centre in Pieńków. The campers will be able to use fully equipped laboratories, experimental equipment, simulators and state-of-the-art research devices. For most of them this will be the first time they’ve come into contact with such advanced scientific equipment. The adventure on the 3rd edition of the ADAMED SmartUP programme began with the online text-based game of Scientific survival, in which nearly 7,000 young enthusiasts of physical and natural sciences aged 15–19 took part. Those who performed best in this challenge were invited for an interview with the Programme’s Scientific Council. 50 most talented young students will take part in the innovative science camp. The event presents young science lovers with an opportunity to develop their knowledge in specialist laboratories and research facilities under the supervision of eminent scientists.